To evaluate the effectiveness and safety of outpatient balneological treatment consisting of hydrotherapy and peloid therapy in elderly patients with osteoarthritis. In this retrospective observational study all patients aged ≥65 years with any type of osteoarthritis who received balneological treatment (hydrotherapy and peloid therapy) at our clinic between 2007 and 2016 were included. Hydrotherapy was applied as head-out immersion in a tap water pool at 36–38 °C for 20 min and then peloid therapy was applied as a local peloid pack on the painful region or joint at 42–43 °C for 20 min, on each weekday for 2 weeks. Patients were evaluated before and after the treatment and outcome measurements were pain, patient’s global assessment, physician’s global assessment, Western Ontario and McMaster Universities index, Lequesne hip index, Waddell index, neck pain and disability scale, and health assessment questionnaire. In total, 235 osteoarthritis patients comprising 61 generalized, 91 knee, 6 hip; 32 lumbar, 12 cervical, 1 foot and 32 hand osteoarthritis, were included in the analysis. We found significant improvements in pain and function scores in generalized, knee, lumbar, cervical and hand osteoarthritis. Patient’s global assessment was also improved in all subtypes except hip (p = 1.000) and hand (p = 0.132) osteoarthritis subtypes. The majority of patients (59.1%) fulfilled the outcome measures in Rheumatology-Osteoarthritis Research Society International (OMERACT-OARSI) responder criteria. The treatment demonstrated a good safety profile. Study results provide initial evidence for the potential beneficial effects and safety of outpatient balneological treatment (hydrotherapy and peloid therapy) in the management of older patients with osteoarthritis. Future randomized controlled studies are needed to confirm these results. The online version of this article ( https://doi.org/10.1007/s00391-018-1370-3) contains supplementary material, which is available to authorized users. Die Wirksamkeit und Sicherheit einer ambulanten balneologischen Behandlung in Form von Hydro- und Peloidtherapie bei älteren Patienten mit Arthrose sollte untersucht werden. 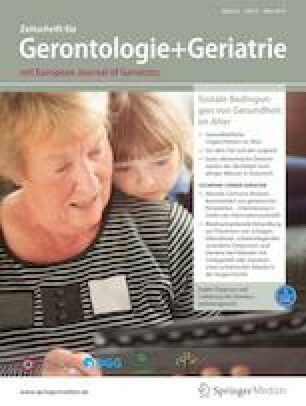 In diese retrospektive Beobachtungsstudie wurden alle Patienten ≥65 Jahre eingeschlossen, die einen beliebigen Arthrosetyp aufwiesen und in unserer Klinik zwischen 2007 und 2016 eine balneologische Behandlung (Hydro- und Peloidtherapie) erhielten. Die Hydrotherapie bestand im Eintauchen bis zum Kopf in ein Becken mit Leitungswasser bei 36–38 °C für 20 min, dann erfolgte die Peloidtherapie mit einer lokalen Peloidpackung auf den schmerzhaften Bereich oder das entsprechende Gelenk bei 42–43 °C für 20 min. Die Behandlung erfolgte für 2 Wochen an jedem Werktag. Die Patienten wurden vor und nach der Behandlung untersucht. Bestimmt wurden der Schmerz, das Patient Global Assessment, das Physician Global Assessment, der Western Ontario and McMaster Universities Index, der Lequesne Hip Index, der Waddell Index, die Neck Pain and Disability Scale und der Health Assessment Questionnaire. Insgesamt 235 Patienten mit Arthrose wurden in die Analyse eingeschlossen. In 61 Fällen bestand eine generalisierte Arthrose, in 91 war das Kniegelenk, in 6 das Hüftgelenk, in 32 die Lendenwirbelsäule, in 12 die Halswirbelsäule, in einem der Fuß und in 32 die Hand betroffen. Es zeigten sich signifikante Verbesserungen bezüglich des Schmerzes und der Funktionsscores bei generalisierter Arthrose sowie bei Arthrose des Kniegelenks, der Lendenwirbelsäule, der Halswirbelsäule und der Hand. Das Patient Global Assessment war ebenfalls verbessert – bei allen Arthrosesubtypen außer an Hüfte (p = 1,000) und Hand (p = 0,132). Die Mehrzahl der Patienten (59,1 %) erfüllte die Responder-Kriterien der Outcome Measures in Rheumatology-Osteoarthritis Research Society International (OMERACT-OARSI). Die Behandlung hatte ein gutes Sicherheitsprofil. Die Studienergebnisse liefern erste Belege für die potenziell positiven Wirkungen und die Sicherheit der ambulanten balneologischen Behandlung (Hydro- und Peloidtherapie) in der Behandlung älterer Patienten mit Arthrose. Zur Bestätigung dieser Ergebnisse sind randomisierte, kontrollierte Studien erforderlich. S. Kardeş, M. Karagülle, İ. Geçmen, T. Adıgüzel, H. Yücesoy and M.Z. Karagülle declare that they have no competing interests. All procedures performed in studies involving human participants were in accordance with the ethical standards of the Ethics Committee of the Istanbul Faculty of Medicine and with the 1964 Helsinki declaration and its later amendments or comparable ethical standards. The Ethics Committee of the Istanbul Faculty of Medicine waived the informed consent requirement because this was a retrospective study. Supplementary Figure S1. 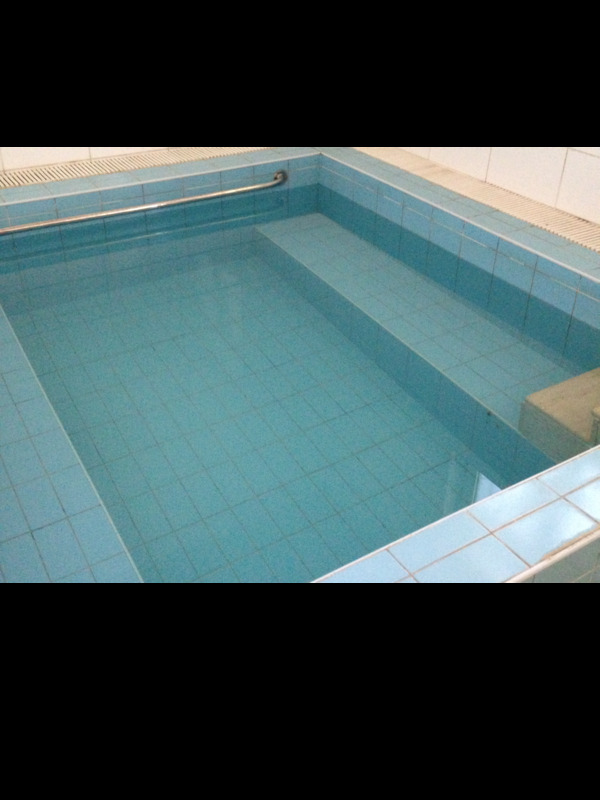 Photograph of the hydrotherapy pool at Balneological Treatment Unit, Department of Medical Ecology and Hydroclimatology, Istanbul Faculty of Medicine. Supplementary Figure S2. Example photographs of peloid pack application at Balneological Treatment Unit, Department of Medical Ecology and Hydroclimatology, Istanbul Faculty of Medicine.